We need more HF ops! Tune across the HF bands anytime but a contest weekend and you’ll hear plenty of nothing – unless you happen upon the FT8 frequencies – they always seem to have activity. Even so, there’s plenty of empty real estate, and even the CW portions of the bands seems wanting these days. Yes, the solar cycle is bottoming out and conditions have been generally poor. I’ve been through these minima before, and this one is different – and worse. The bands have never been so empty. There’s plenty of competition for “radio time” from our connected world that includes streaming video, worldwide communication, and interactive gaming. Perhaps you don’t realize this if you are not a gamer, but MMRPGs (Massive Multiplayer Role Playing Games) are an immersive experience that allows players to communicate in real time (video and voice) with other players around the world while playing an engaging game in a virtual world. That means if you expect to lure a newbie into amateur radio with a gee-whiz story about how you can “talk to people around the world”, you are probably going to be disappointed by their “So-what ?”reaction. We can add value to the Technician license with some HF privileges. VHF and UHF FM repeaters are not enough these days. 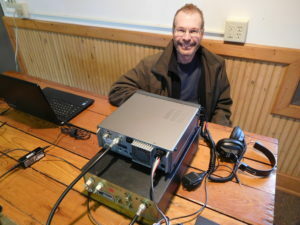 Most are inactive all day long and this silence can lead newly licensed hams to get bored with ham radio. Why not give them more opportunities to get on the air and make contacts? Look, I’ve heard all the contrarian arguments hundreds of times over the years – every time something needs to be changed. Yes, we all had to pass our exams to earn our privileges. Yes, these noobs would get HF privileges without jumping through the same hoops we did. Yes, they might make mistakes on the air. Yes, we had to pass code exams in the day. Yes, yes, yes. None of that matters. Times and circumstances have changed, and we need to change with them. Join me in getting on the FCC website and supporting the ARRL petition to add limited HF privileges to the Technician license. 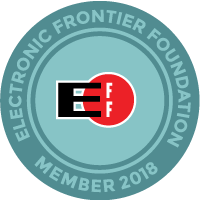 Those interested in posting brief comments on Petitions for Rulemaking (PRMs) to the FCC, such as the ARRL Technician Enhancement proposal (RM-11828) using the Electronic Comment Filing System (ECFS) should access FCC Electronic Comment Filing System Express at, https://www.fcc.gov/ecfs/filings/express . In the “Proceeding(s)” field, enter the number of the PRM, e.g. RM-11828 (using this format), complete all required fields, and enter brief comments in the box provided. You may review your post before filing. All information you provide, including name and address, will be publicly available once you post your comment(s). This entry was posted in Uncategorized on April 12, 2019 by wa0tda.